The Flower Mound High School marching band competes in the UIL State Marching Contest (photo courtesy of Ron Nadwodny). Flower Mound’s high schools both fared well in the UIL State Marching Band Contest this week, as did Argyle High School. 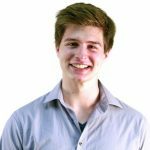 In the 6A Finals competition on Tuesday, the Flower Mound High School marching band placed No. 2, beating every other 6A school except for Vista Ridge High School, from near Austin. Marcus High School came in 10th, according to the UIL website. Left to Right: AISD Superintendent Dr. Telena Wright, Drum Major – Walker Santone, Color Guard Captain – Lois Robertson, Drum Major – Jacy Haynes, AHS Principal John King (photo courtesy of Argyle ISD). 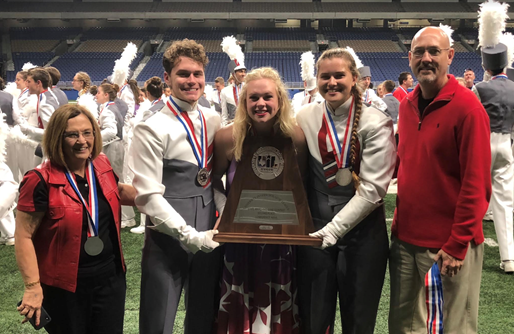 In the 4A Finals competition on Wednesday, Argyle High School’s band also took home the silver medal, second only to Canton High School in East Texas. 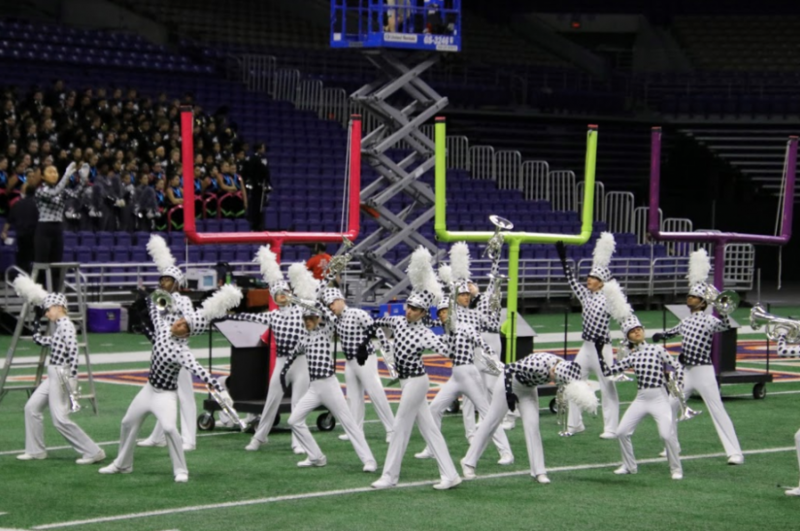 In addition, Lewisville ISD’s Hebron High School in Carrollton placed fourth in the 6A state contest held at the Alamodome in San Antonio.